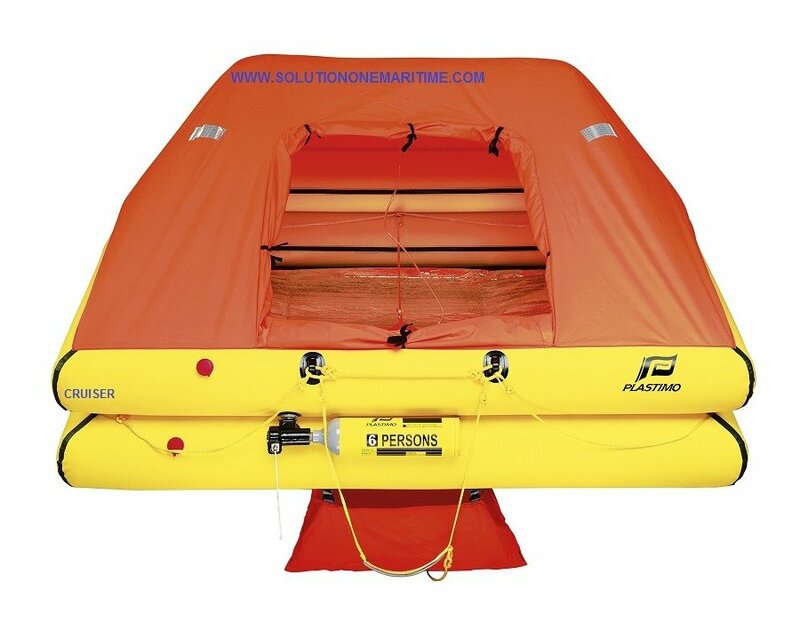 Designed for moderate navigation conditions up to 50 miles from shore : 0°C inflation temperature, double floor, fluorescent orange canopy supported by self inflating arch, 0.75 cd outside light, retro-reflecting stripes. · Final control, through random picking followed by inflation of the raft. Their philosophy of Safety and their very demanding standards in the production of liferafts have allowed Plastimo to be awarded the official recognition of its quality assurance procedures, according to the ISO 9001 international standards. The AFAQ/ISO 9001 is an international reference, only awarded after a very serious audit of the company's quality procedures. By obtaining this most valuable certificate, Plastimo confirms that it belongs to the top performing companies on the market, one of those that customers and suppliers trust for quality products and service. Plastimo is the only manufacturer who offers the double chamber construction, an exclusive manufacturing process providing a resistance to perforation and abrasion unmatched in the industry. · air chamber in polyurethane with an astonishing 600 % stretching capacity, guaranteeing absolute water and airtightness. Remember… it is Plastimo who invented the vacuum-sealed protective envelope, an ingenious technical addition -adopted since by many other manufacturers- which protects perfectly the folded liferaft, within its valise or container. Developed by Plastimo engineers and used on all of their liferaft models, their patented firing head requires minimal pull on the firing lanyard for easy inflation and deployment : it is actuated by hand (10 %) and by gas pressure (90 %). 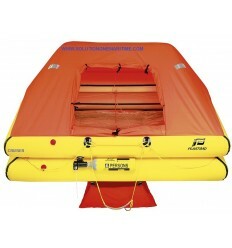 Even a child or an injured person can blow the liferaft open. Plastimo has appointed a large network of service stations throughout the world, to guarantee optimum service wherever your cruise may take you. Carefully selected for their professional service and skilled technicians, these stations are in permanent contact with our Lorient factory and engineers (regular training sessions, common quality assurance procedures…). 27.5" x 16.5" x 10.5"